We’ve had a tough week this week Bub has been teething. One tooth has cut through but there is another following hot on its heels. 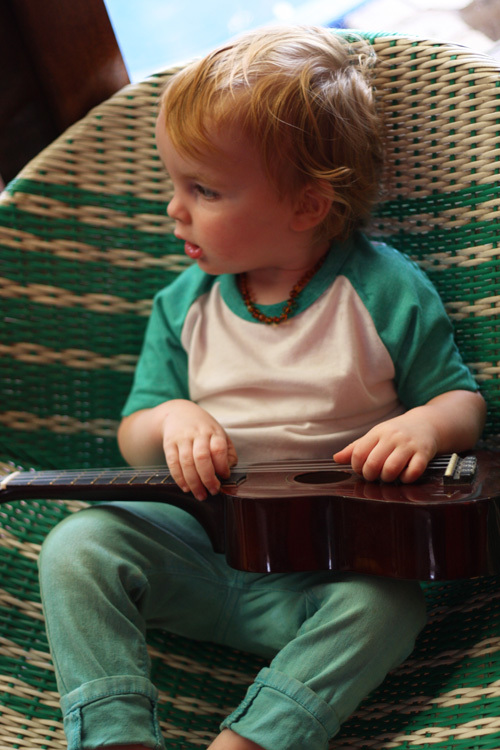 In between pain-filled temper wig-outs (that last a few seconds but happen regularly) Bub climbed into the saucer chair in the studio and strummed his ukelele to relax.